Five reasons you should buy a ticket to Friday’s BC Lions game. Okay Vancouver, we all know the BC Lions are winless in their first 5 games this season and none of us are happy about that. Not the fans, not the coaches, and most of all not the players. I’m hearing a lot of fans jumping off the bandwagon, so for each of the five losses so far I’m giving you a reason why you should buy a ticket and get out to support the BC Lions. So here they are! 5) There are only three games left at Empire Field. I can’t tell you how many people have told me over the years that they don’t go to Lions games because it’s too hot in BC Place. Now that Empire Field is in place and has been for over a year, where are all you people? Enough excuses, buy a ticket and support the Lions. Empire Field is an intimate setting that brings you up close to the action, and if you haven’t been yet, you’re missing out. 4) Don’t believe the haters, this is professional football. Yeah I’m taking to you in the Micheal Vick jersey. You’re the one that mocks the three downs, the bigger field and considers the CFL minor league. Slap yourself across the face, splash some cold water on it and wake the hell up. No the CFL does not have the money and the television production that its southern cousins do. But if you like football, and claim to be a fan of the game there is no reason why you shouldn’t enjoy the CFL game. The wider field provides for a faster more open game. Kickoffs and punt returns are more exciting. None of the fair catch stuff here. And who needs four downs when you can get it done in three? Put you’re uninformed hatred aside and check out the CFL live. I bet most of you will come back. Geroy Simon is one of the greatest athletes to ever play in this city and you have the chance to see him up close and personal. 3) The Lions need your support. The CFL is a gate driven league. They don’t have the huge television contracts that guarantee a team a profit before they even play a game. 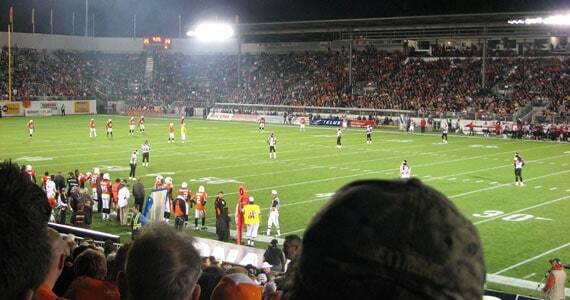 The BC Lions have been a part of this province for over 50 years. They have brought five championships to this city, more than the other sporting properties combined. They do great work in the community and the players are every day people like you and me. They play for the love of the game and the desire to compete. They play for the fans. 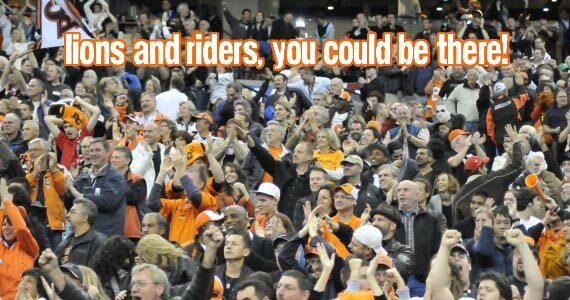 It’s affordable family entertainment, so take the kids and support you BC Lions. 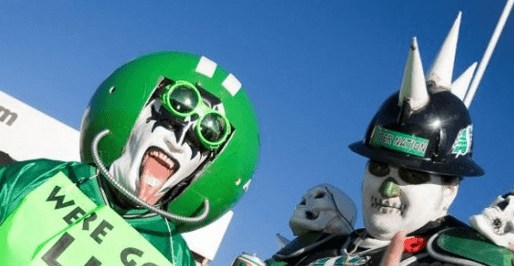 Anyone who follows this site knows how much we love to tailgate. The tailgating at BC Lions games has never been better and will never be like this again. Empire Field and the PNE have provided an awesome pregame atmosphere for football enthusiasts who love the pregame tradition of the tailgate party. While not in the same numbers as Calgary, the quality of this tailgate party is on par. In fact I’ve been told that because of crackdowns in Calgary the BC tailgates are now the best in the country. Take the BBQ and some pregame beverages. Come and meet new fans, throw the football around and see what this unique culture is all about. Join us in the Tailgate Empire at the Northwest corner of Lot 9! 1) And the number one reason to buy a ticket to Friday’s BC Lions game? You’ll be stopping these kind from invading Empire Field!!! !